Managing a fleet of business vehicles can be a challenge. To help you, below is a guide that covers everything from fleet maintenance to getting the right fleet insurance policy. An essential part of managing a fleet is to deal with the insurance side of things. 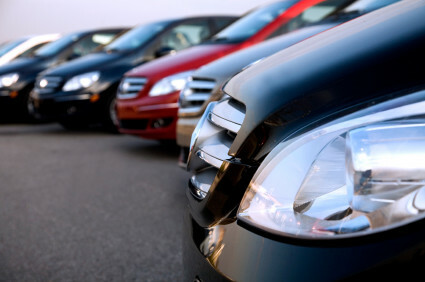 Fleet policies are typically highly tailored and can be adjusted to cover fleets of all sizes. You can get many types of cover included in a fleet policy, including road risks, liability claims, legal expenses and breakdowns. When looking for a company fleet insurance policy, you should get as many quotes as you can in order to make sure you don’t overspend. There are some excellent providers of fleet insurance out there so you shouldn’t have trouble finding the right policy for your business. Depending on the type of industry you’re in, your responsibilities might extend much further than simply managing the fleet of vehicles. When this is the case it’s often easy to put managing the fleet lower on your list of priorities. When it comes to fleet maintenance there are a couple of key things you need to make your priority - keeping costs down and establishing clear maintenance and repair guidelines. On the first point, keeping the costs of the fleet to a minimum is a must. You should do your research and find out which auto manufacturers offer special rates for fleet managers as well as taking any other steps you can to reduce the costs associated with your fleet. As far as the maintenance of the vehicles in your fleet goes, you should make sure that there are clear maintenance and repair guidelines in place and that they’re adhered to. Business vehicles often run up a lot of miles quickly so proper maintenance is key. Reducing costs is key when you manage a fleet but you also need to ensure that the vehicles are well maintained. Keeping track of fuel costs can be very challenging when you’re managing a fleet. This is particularly true for very large fleets where they might be hundreds of vehicles that you have to keep track of. Being able to properly identify your fuel spend will help you to reduce the overall costs of your fleet considerably so it’s certainly worth making it a priority. Re-marketing simply refers to selling any unwanted vehicles in your fleet on. This is a key part of successful fleet management and something that you should learn as much as possible about. There are certain times of the year when used vehicles go for a higher price and you should ideally try to time the sale of any vehicles then. You should also work to build relationships with other business, such as local garages, who might be interested in your unwanted vehicles.